I recently wrote a short article about why I’ve been focusing on particular Bible verses with my children (you can read that article here). 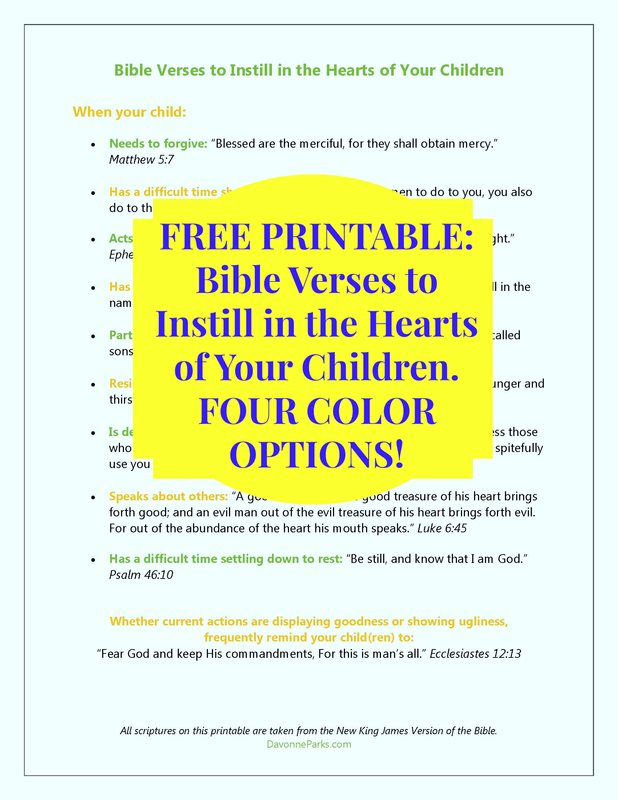 In that post, I included a list of verses we can use in different situations with our kids. After publishing that article, I decided it’d be neat to make a printable with the verses for easy reference. Lily (8) and I had so much fun playing with the colors that we didn’t just make one – we made four! To tuck God’s Word into our children’s hearts, we have to first teach God’s Word.